The merit of the approach to anthropology by means of the concept of person is that it relativizes so many inherited dualisms. Relations are of the whole person, not of minds or bodies alone, so that from all those created in the image of God there is something to be received, and to them something to be given. When the image is located in reason, or for that matter in any internal qualification like consciousness, problems like those of ‘other minds’ are unavoidable. The person as a being in relation is one whose materiality is in no way ontologically problematic, whatever problems derive from the way in which we relate in actual fact to others. I think that a lot of this is helpful in looking for the grounds of a Christian involvement in and attitude to the rest of creation. The planet, the plants, animals, seas, rivers, clouds, mountains and valleys matter and are in a kind of relationship with us. This isn’t to personalise creation in a Gaia-theory kind of way, but rather to recognise our relatedness to the rest of creation and our responsibility to care for it. We indwell creation and depend upon it, just as it depends upon us and is bound up with humanity and our personal relating to the personal, trinitarian God. There is an asymmetry to this relationship as the environment is not personal, but there is not such a sharp dividing line between humanity and the non-personal creation as we sometimes imagine. 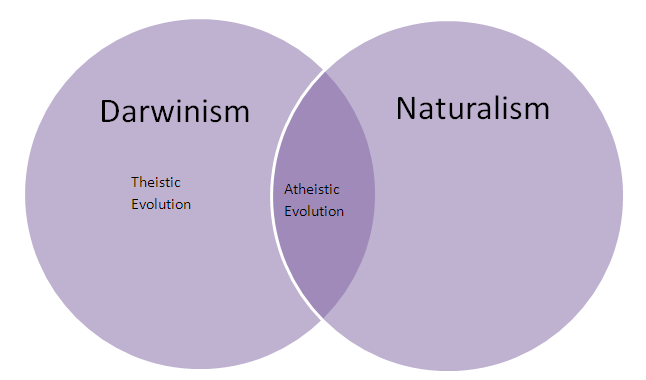 Creationism: All Luther and Calvin’s fault? I managed to catch “Did Darwin Kill God” on iPlayer before it disappeared into the digital ether. One of the members of staff in the Theology Department at Nottingham, Conor Cunningham, presented perhaps the most interesting (to me!) parts of the BBC’s Darwin season. Essentially, Cunningham was arguing for the “no conflict” position – belief in some form of evolution is compatible with the orthodox Christian belief in the Bible as the Word of God. In fact, the programme shared remarkable affinity with the argument of the evangelical scientist Denis Alexander’s recent book Creation or Evolution: Do We Have To Choose?, both even quoting Augustine’s On the Literal Meaning of Genesis. What was especially interesting was how modern the Young-Earth Creationist position is. Perhaps the problem is that so much of Protestantism believes the myth that private interpretation means exactly what Cunningham suggests it does – and so in practice actually reject the authority not only of the Pope but also of the Bible – the classic error of liberalism.